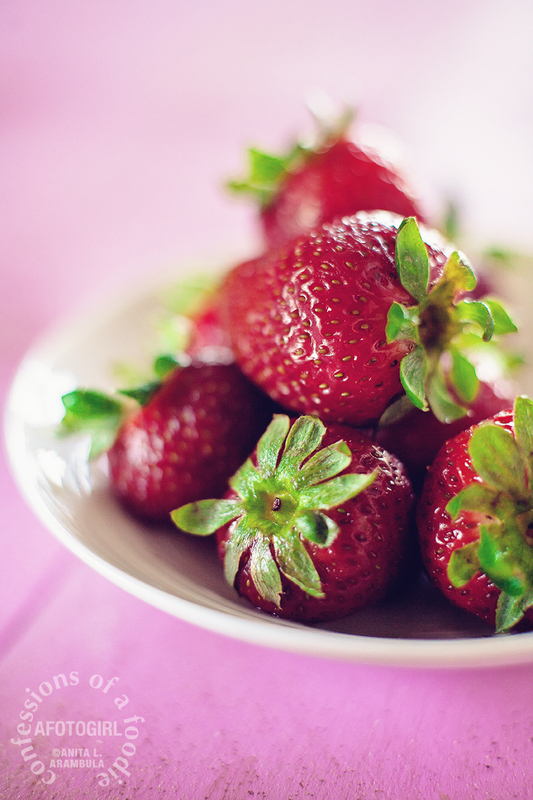 And round and round we've gone, my Auntie and I, when we've chatted about the strawberries at our local farmers' market that say they are from the Carlsbad strawberry fields. I say they're the same. She says no. 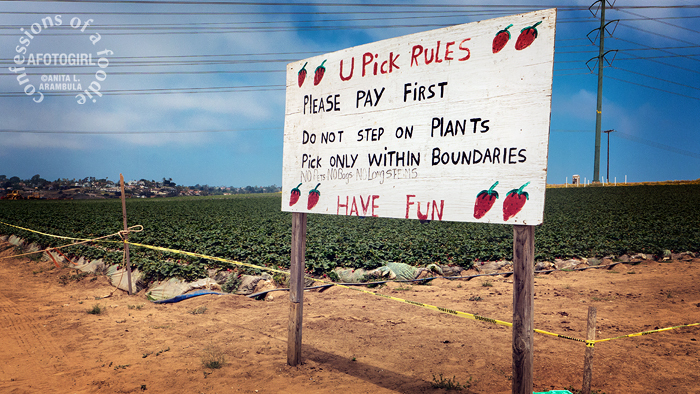 To get genuine Carlsbad strawberries, argues my Auntie, one must drive up to the fields and buy them at the U Pick field in order to guarantee that they are indeed the luscious berries of Carlsbad. So we headed up to Carlsbad on a recent Sunday morning. 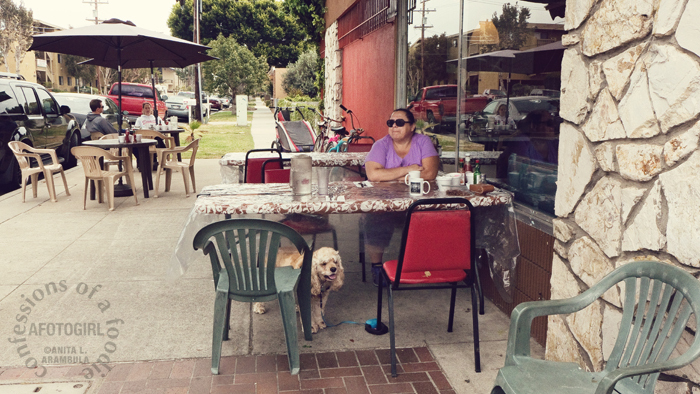 First up, a search for a doggy-friendly place to eat as we had Starbuck with us. Doggy-friendly eateries aren't as easy to come by as one would hope. If you know of any in San Diego, feel free to leave a comment! 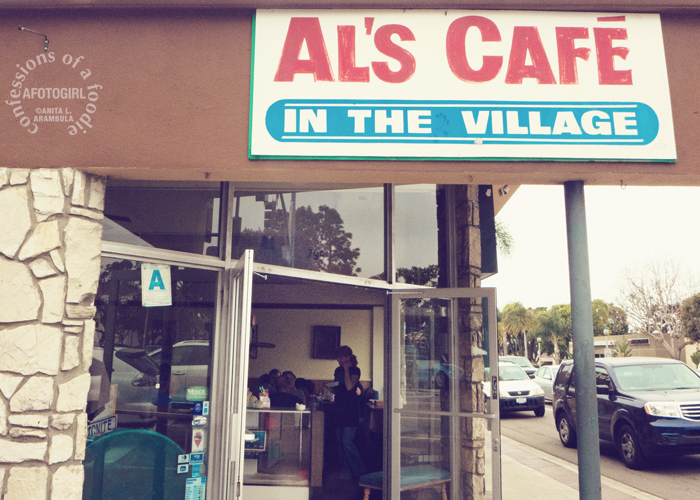 Anyway, we came upon Al's Cafe in the Village that looks like it's been around for quite a while. They had a few tables out on the sidewalk so we parked and made ourselves comfortable. Al himself welcomed us with menus. Service was fast and friendly and the food was tasty, pretty much what you would expect from an old established neighborhood diner. The interior, which we didn't bother to check out until I was looking to pay the check, was a mess. Tables were dirty and their was food on the floor. Granted, while we were eating I had seen a family with two rowdy kids eating at the table but they had been gone for at least a half hour when I went inside looking to pay our check and the mess was still there. The interior definitely looked like it had seen better days but the place was filled with regulars which to me, usually outweighs most if not all the decor missteps. 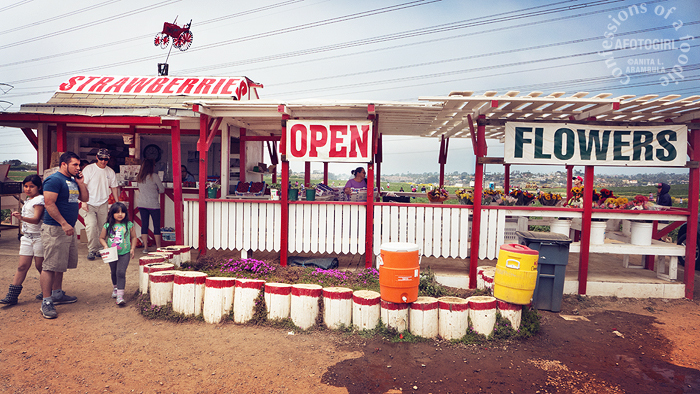 After our hunger was satiated, we headed to Carlsbad Strawberry Company on Cannon Road. 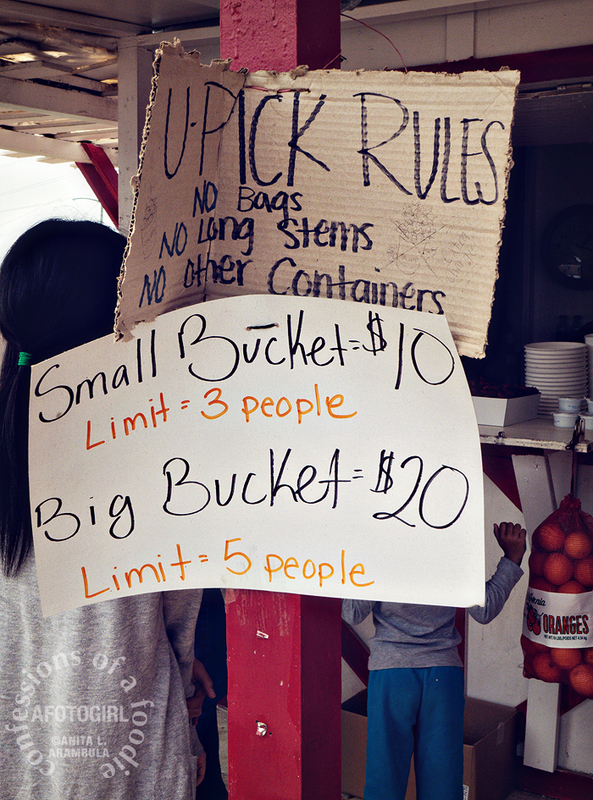 The place was hopping with cars coming in and out of the dirt parking lot and kids of all ages, buckets in hand, heading towards the U Pick area. 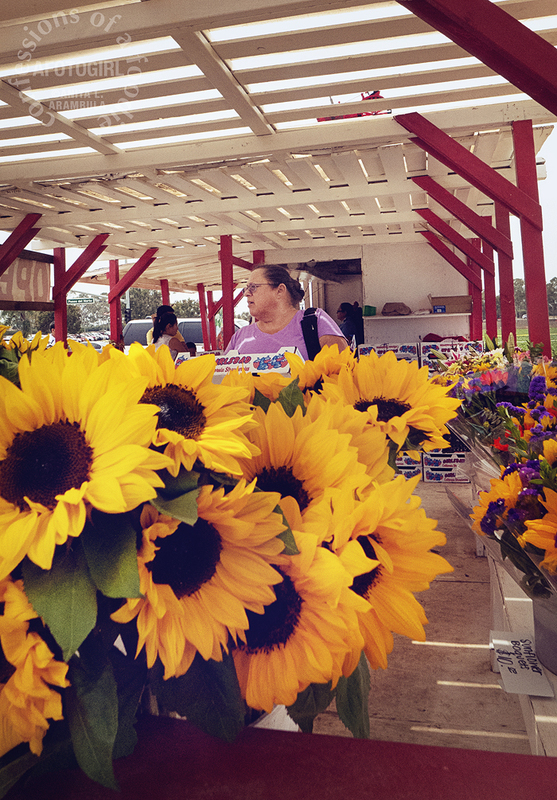 The stand sells mostly strawberries but had a selection of other fruit and lots of flowers. Auntie doesn't pick. 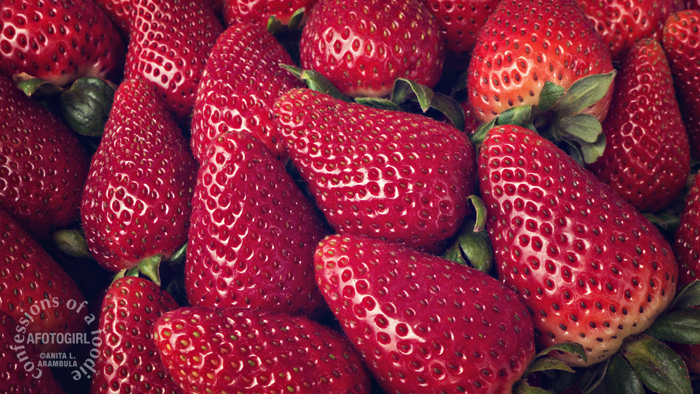 She buys a large flat of strawberries freshly picked by the company's employees at the start of business every day. These are what she "picked." Aren't they luscious looking? 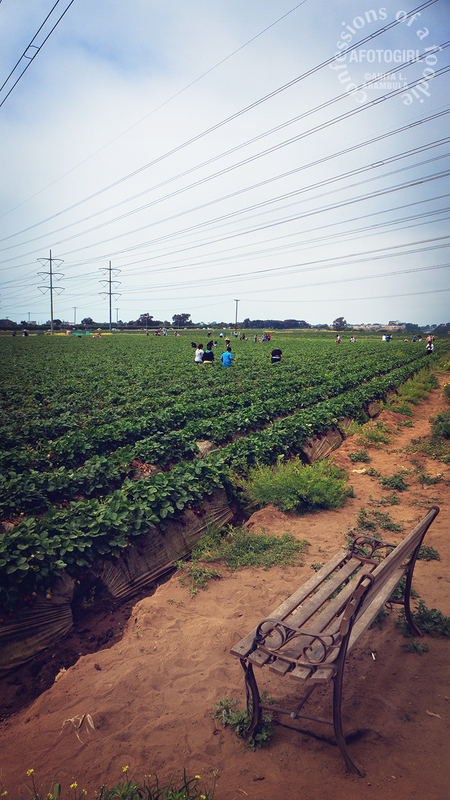 Even though we didn't hand pick our strawberries ourselves, I rather enjoyed watching the kids filling their buckets. 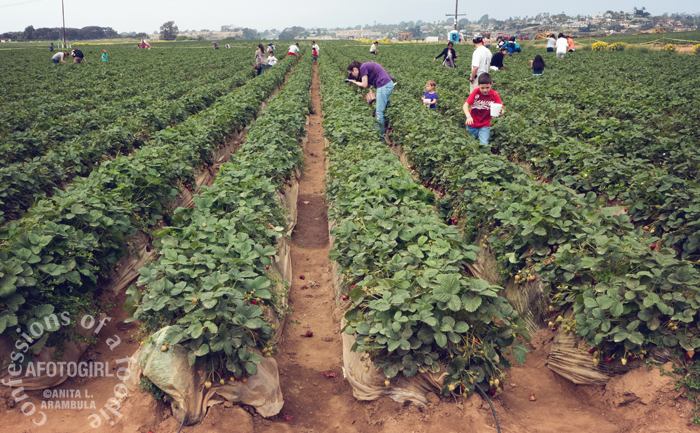 The U-Pick fields are open during strawberry season daily from 9 a.m. to 5 p.m. It's still a little early in the season, so the berries are bigger though not as sweet as they will be later in the season (come July, the end of the season, they'll be much smaller but also much sweeter). We had several in our flat that were large and extremely juicy and sweet but just as many that were a tad on the tart side. In another couple of weeks they should reach a good balance between size and sweetness at which time I'll be ready for a return trip! 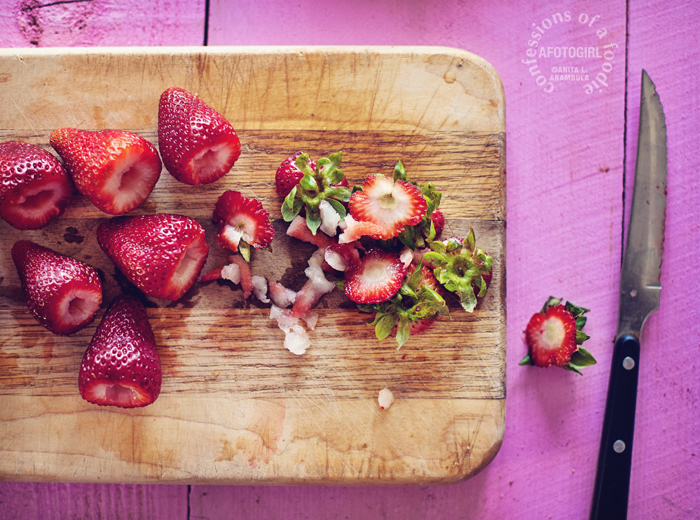 I didn't personally taste the difference between the strawberries marked Carlsbad that I've bought at the farmers' market and the ones we picked up at the stand but I admit that these berries were definitely juicy and delicious. 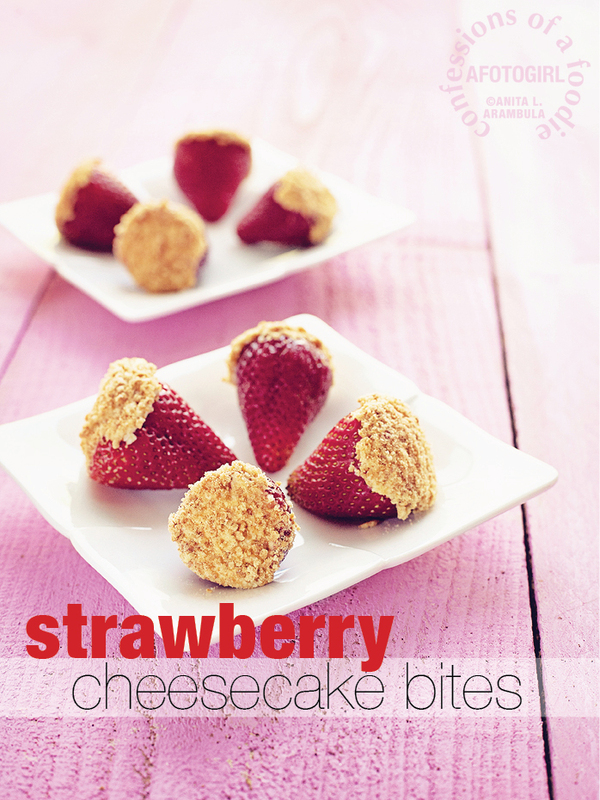 As for these yummy little treats, I can't take credit for the idea behind these "cheesecake" strawberries. I stumbled upon a blog post somewhere years ago and filed the idea away in my head for future but then proceed to forget about it. Once home and looking at all these berries on the dining room table, I mentally went through ideas on what to do with them and this image of cheese stuffed berries popped into my head again. So I made them, shot them then before posting this, went in search of that original blog post so I can credit them. 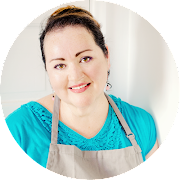 My recipe is different enough but I still believe in giving credit where credit is due. These little gems are the perfect little bite: sweet, tart and tangy all at once. I think they'll make a great little treat for mom on Mother's Day. Give 'em a whirl and let me know what you think. Wash and hull the strawberries. Gently pat them dry and set aside. 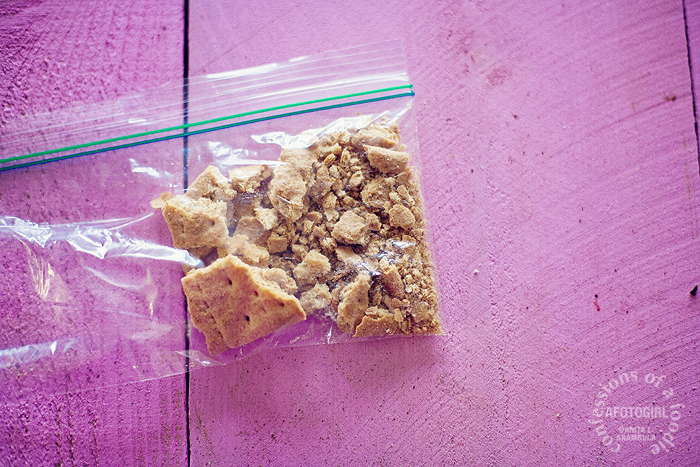 Place the graham crackers into a resealable sandwich bag and use your fingers to break up the crackers. Use a rolling pin (or the bottom of a mug like I did because I was too lazy to go fetch my rolling pin) to crush the crackers into finer crumbs. Place the crumbs into a small plate or shallow bowl. Combine the mascarpone and cream cheese in another small bowl and stir well to combine. Add the vanilla and sweetener. Stir to incorporate well. Take a resealable sandwich bag and fit it over a mug. Spoon in the cheese mixture. 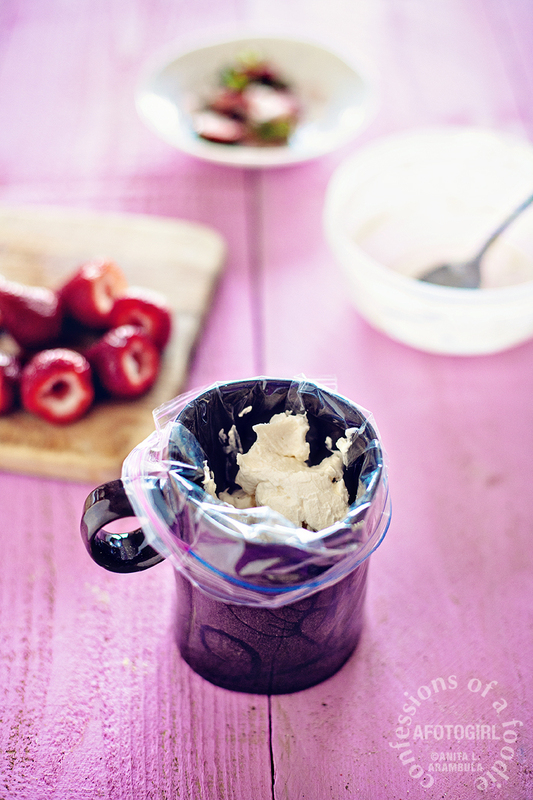 Remove the bag from the mug and squeeze all of the cheese into one corner of the bag. Twist the top and snip off the very tip of the corner. 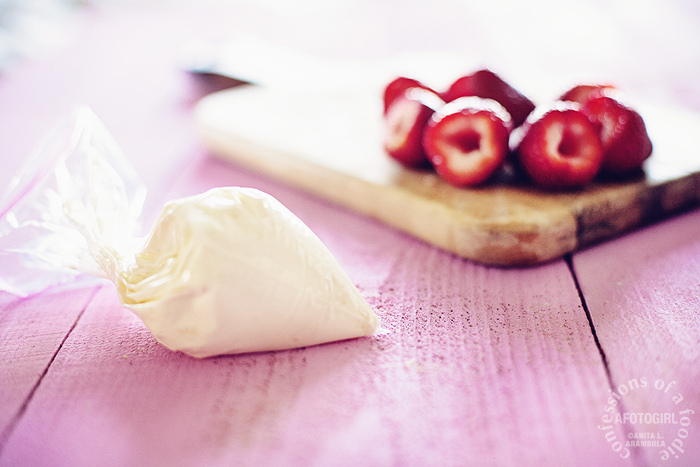 Fill each strawberry with the cheese mixture careful not to overfill. 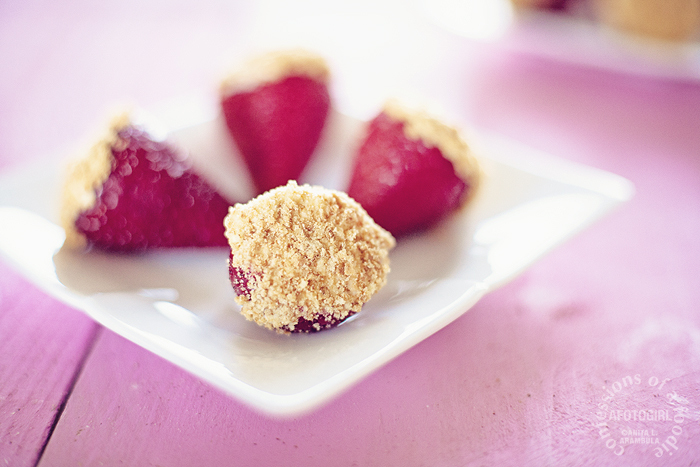 Dip the cheese end of the strawberries into the graham crackers and set on a serving dish. Chill until ready to serve. Can be made a day ahead. Hi Justina! So glad to hear. It's easy and yummy! So funny Ani, I was literally inspecting some really big and delicious strawberries, and said to Jessica, "look, if you cut the top off the big ones, you could stuff them with something yummy!" I was thinking a rich chocolate cream with hazelnuts. Yours look delicious too!